After two days of steady, warm summer rain, I pull into the Mega-Lo Food Trough parking lot where the familiar childhood scent of earthworms on wet pavement fills my olfactories with its heady waft. A dozen or so people with harried suburban lives deny me eye contact as they shuffle past clutching their precious bags of mass marketed, synthetic resin disguised as food. Two obscenely large glass doors trimmed with enough brushed aluminum to build a small car, yield to my feather haired touch of the red button. Two thousand cubic feet of air-conditioned atmosphere whooshes past me as the gates of Hades open to reveal the wretched excess of our time on the other side of this monument to Maslow’s Hierarchy of Needs. Everywhere are the fruits of a petrochemical engineer’s labour transforming the decay of ancient reptiles into the products we use to satisfy our insatiable consumptive whimsy. Behind the row of dutifully attired cashiers flashes an array of LED screens scrolling softly pulsating menus designed to calm the cattle waiting in queue for their purchased allotment of Soylent Green. Scanning the room further, I am but a blink away from developing a nervous facial tic as I take stock of all that faux oak wall panelling. That in of itself would have been enough to convict the interior designer responsible but add to it faux leather chairs, faux glass fixtures, faux ceramic floors, faux marble tables and well, you get the point. Even the oxygen in the room seemed to lack sincerity. I crack a crooked smile at the sad, beautiful art of it all. And she’s sits outside, warm bits softly clicking as they contract in the cool shadow of the only shade tree for a city block. The sound vaguely reminiscent of a Palomino working on the bit before the promise of a day’s run. The parking lot automatons betray the glitch in their programing when I see their gaze lock on my two-wheeled conduit to freedom. They instinctively know by her scarred, weather beaten frame that she’s laid rubber to earth in many far off places with unpronounceable names. A sigh is breathed before two off tempo steps are taken and they’re back on the rails of mediocrity, numbly careening headlong towards a secret dystopian existence. 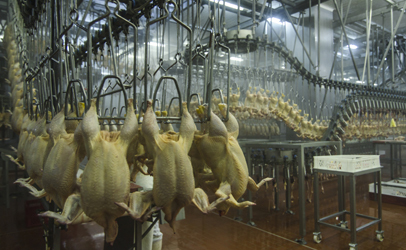 Looking at sweet, gritty old Agatha through tempered panes, I fight the urge to bolt from this throng of humanity waiting in line for conveyor belt meat. She and I have just spent the morning testing the limits of physical law, straining sinew and filling my lungs with a thousand subtle scents of the great blue marble spinning beneath. The fire behind my eyes, stoked by the memory of intensely flashing watercolour hues of blue, green and brown is nearly quenched by this current need for protein, carbs and life giving h2o. Shaking the stupor from my little brain nestled safely inside 4 inches of skull, I fumble though a mud crusted wallet and hand the cashier a bill dirty enough to be considered an insult. She makes change with a corporate grace that can only come from years of subjugation to the machine and I carry my gastronomic game of chance out to Aggie. Three steps from the cool cover of a gently swaying maple, I pause for a moment of quiet admiration. She and the tree are the only green thing for miles. I don’t mean the restaurant, I mean Agatha. 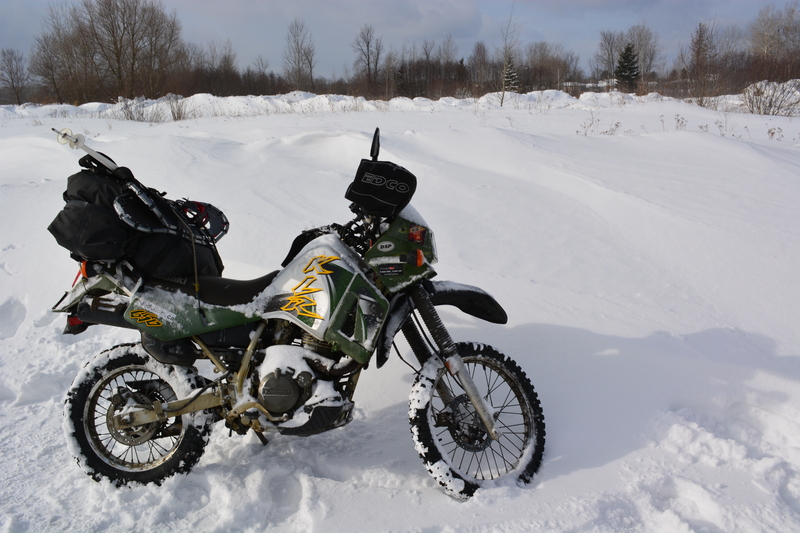 Over 35+ years I’ve owned countless motorcycles from cruisers, drag bikes, crotch rockets, motocross, choppers, 6 cylinder luxo barges and everything in between, yet here I sit with an archaic, underpowered thumper with weak brakes, floppy suspension that frankly isn’t going to win any beauty contests. Thing is though, I can’t remember owning a bike that’s had this unquantifiable ability to bring a big wide stupid grin on my face each time I coax her clattering mechanical heart to life. 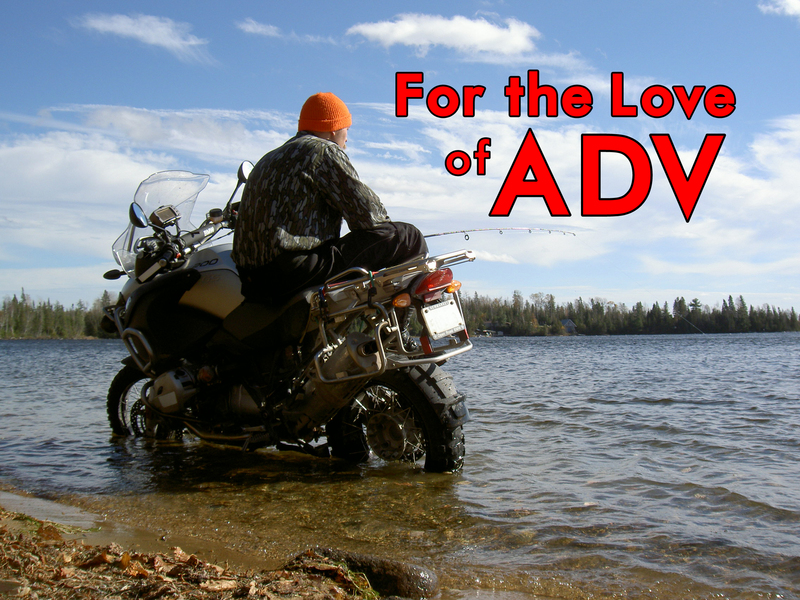 Now, I’m not for a moment suggesting I’ve discovered the holy grail of motorcycling, let’s face it, there is no such thing as the perfect bike but the more miles I unravel the more I’m convinced the ones we label “adventure” or “dualsport” come pretty damn close. Why? I think it’s because they manage to jack-of-all-trade their way into our hearts by taking the idea of freedom and then add the element of option. In essence, they don’t just get you somewhere. Don’t get me wrong, this doesn’t mean I’ll never own another machine designed for singular purpose. 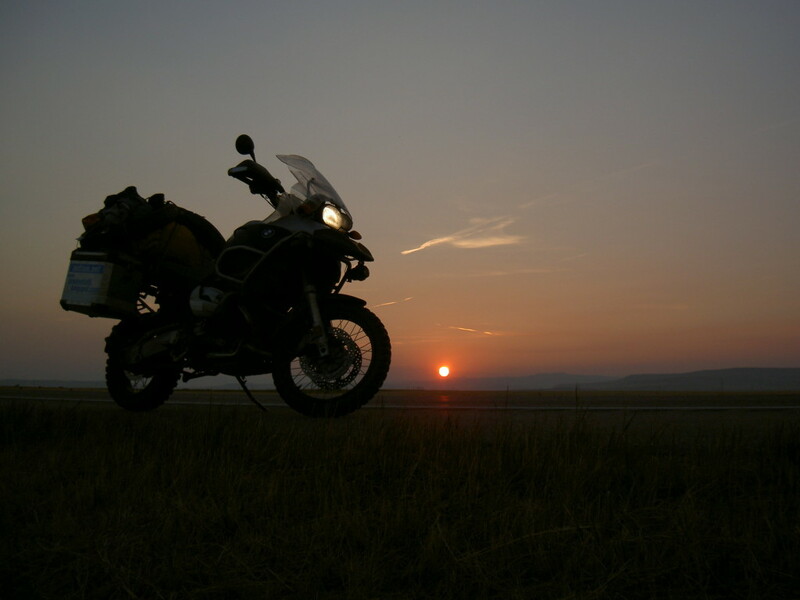 Let’s be honest, the indescribable glory felt winding out a brawny V-twin on a sunset straightaway or the visceral high from a screaming 1000cc sport bike having its neck rung on tight twisties is like nothing on earth. But long after all those other freedom machines are trailered, covered and garaged, Aggie and I will be exercising our ability to bend the horizon as we careen towards the metaphorical vanishing point. So if you’ll excuse me, I need to finish carb loading my 3000 calorie mochapumpkinfrappaspicechino before this afternoon’s logging road flog fest. 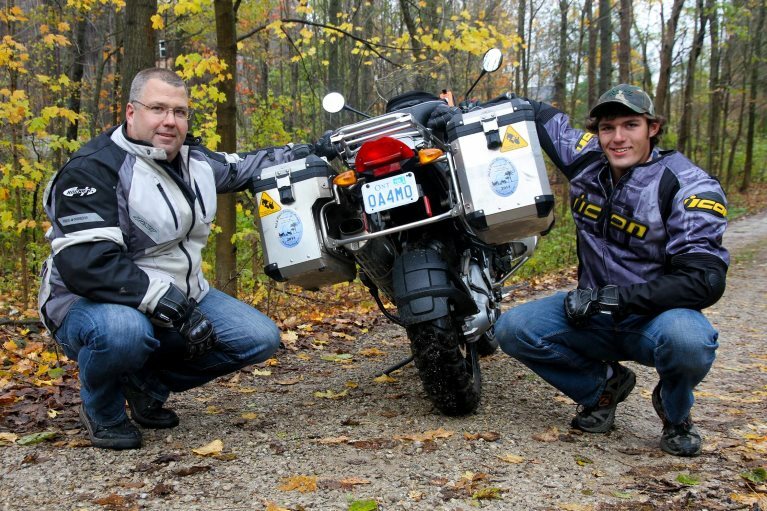 Editor’s Note: After receiving Brokentooth’s story we had to ask him: How popular is Dual Sport in Ontario? 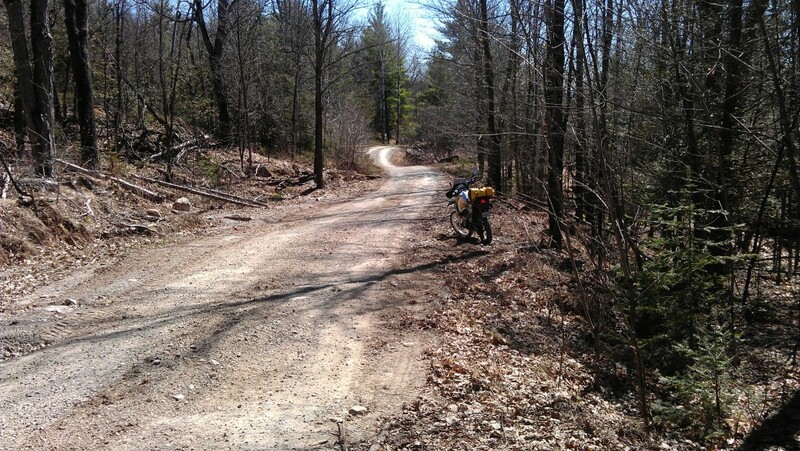 The next morning we were pleased to find our inbox was flooded with enthusiastic messages from riders extolling the virtues of riding close to home. 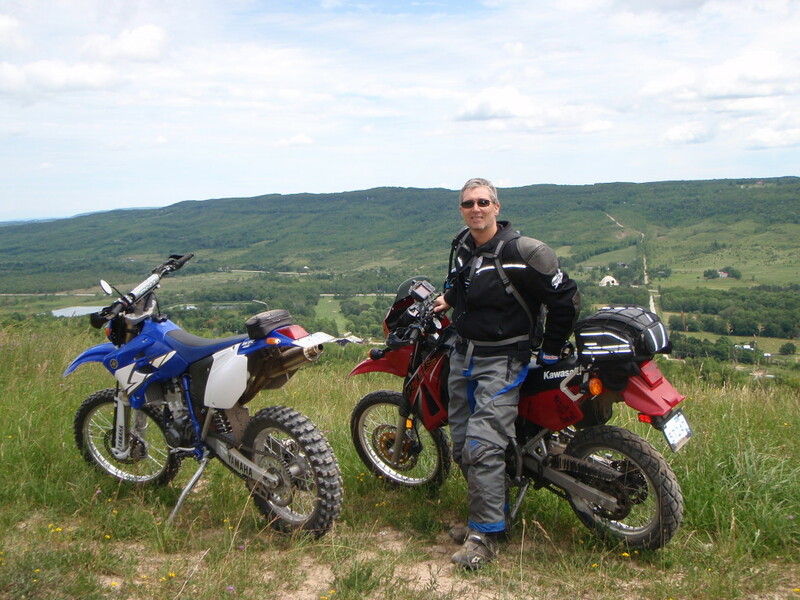 This was my first actual Dual Sport ride I did in 09 up near Blue Mountain. 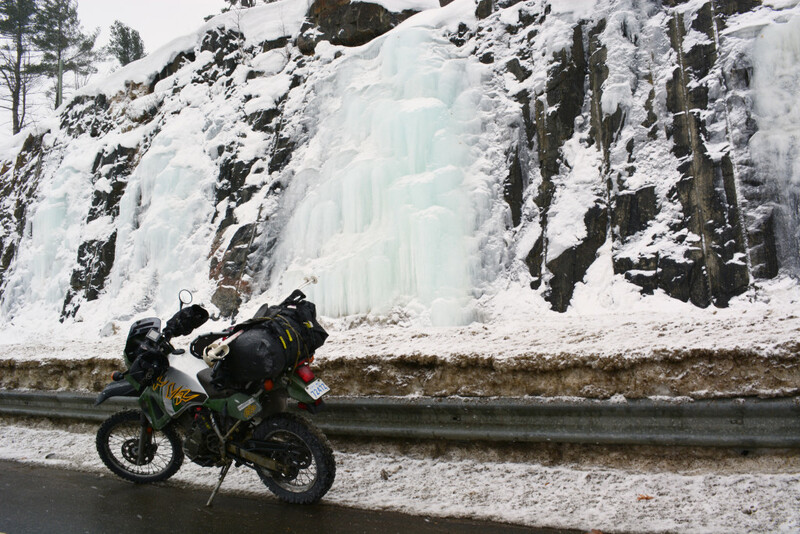 My first big Adventure Ride in 2010 was to Abitibi Canyon. 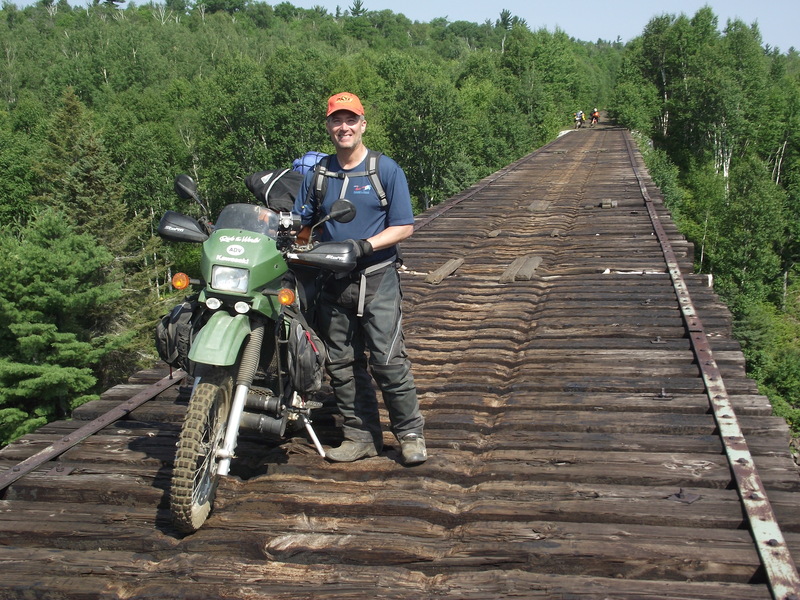 This pic of me and my KLR was taken on a large Trestle Bridge near Capreol, Ontario. 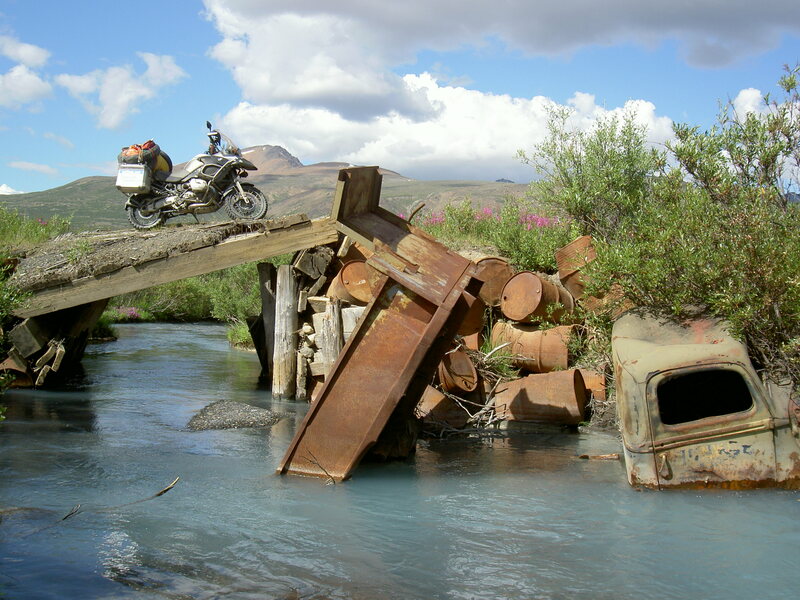 It required us to walk the bikes across one by one for fear of falling 150′ to our deaths. 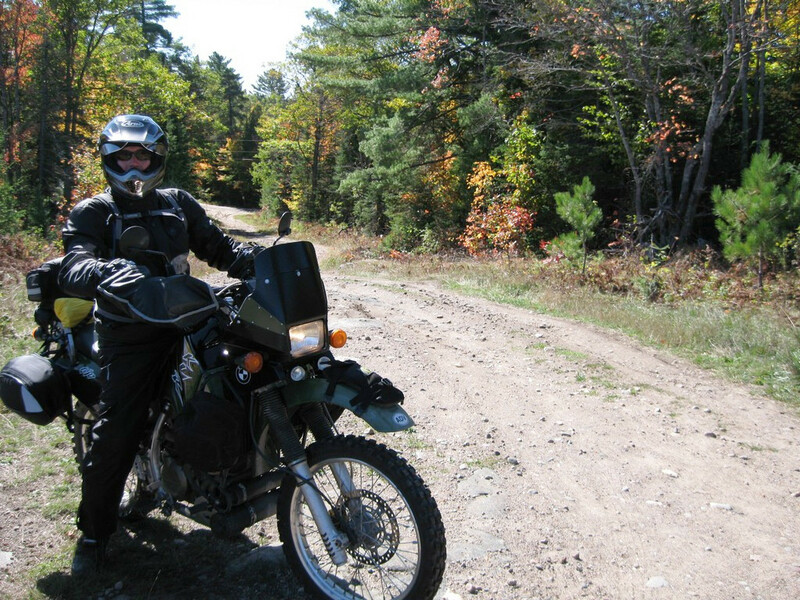 Another one of me on my favourite bike, my KLR. 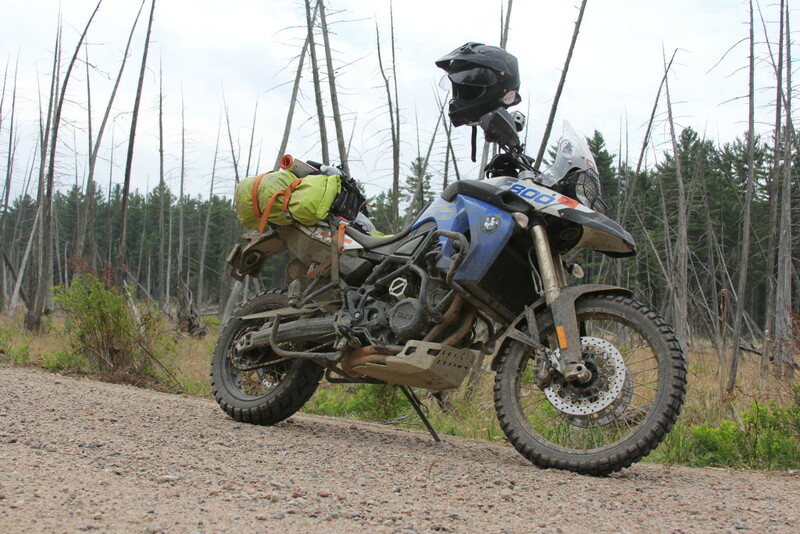 This was taken on the Nippissing Trail located near Magnetawan. 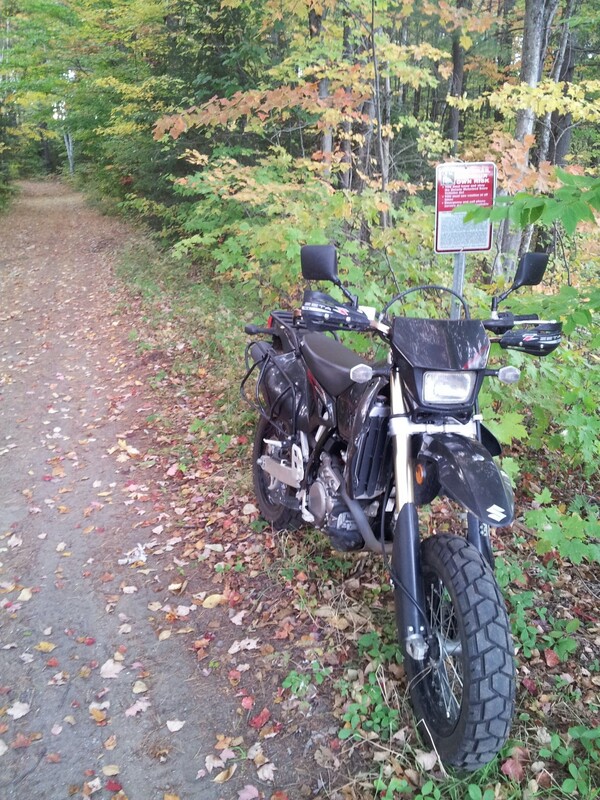 It was an unusually cold September and a group of us were on our Annual Fall Colours ride. “I was raised in Cameron Falls, a small Ontario Hydro community (company owned town) located 12 miles north of Nipigon. Our family moved to Thunder Bay in the middle 60’s. Retired after 36 years service with CN Rail, I now reside in Winnipeg. 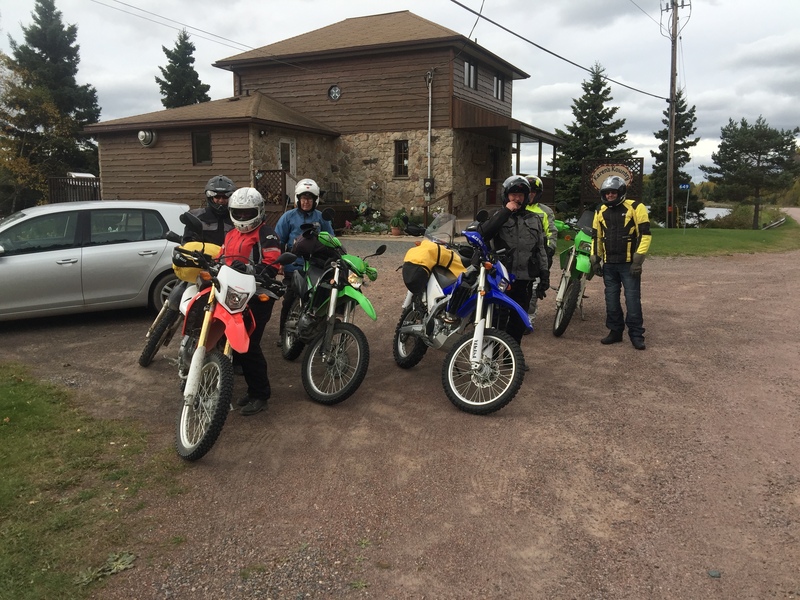 This past weekend I organized a group ride in the Thunder Bay / Nipigon area. 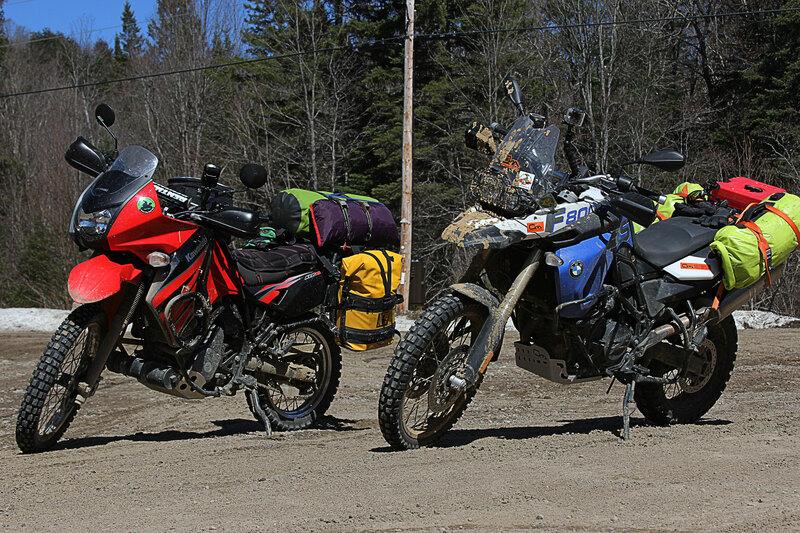 Northwestern Ontario is a Dual Sport paradise. 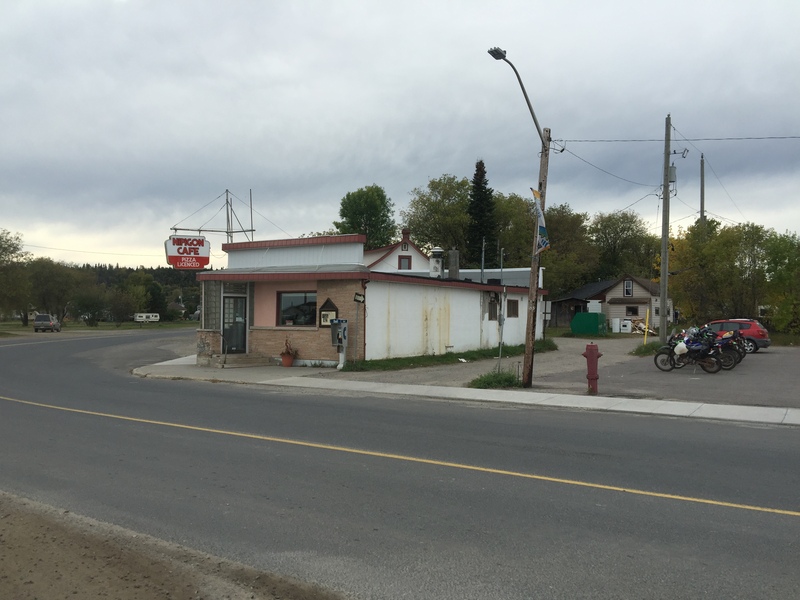 Our first stop was “Karen’s” in Pass Lake which in the highway to the Sleeping Giant. In the evening we ate a famous local restaurant, the Nipigon Cafe. 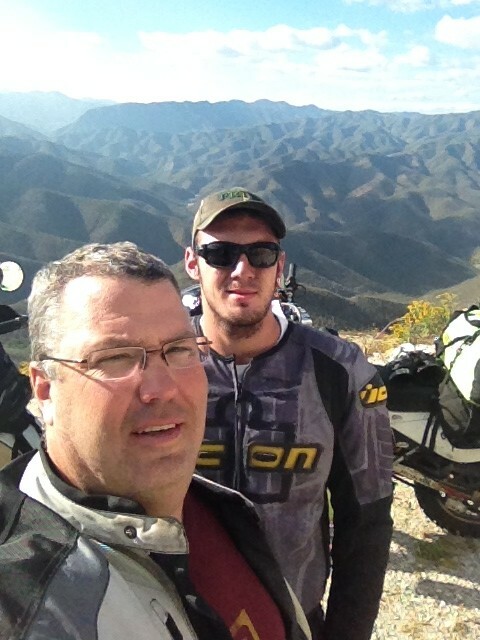 “After getting sober from a 20 year mission, I decided I needed to do more things with my family. I was and am not into hockey or baseball, what was I going to do to spend more time with them? 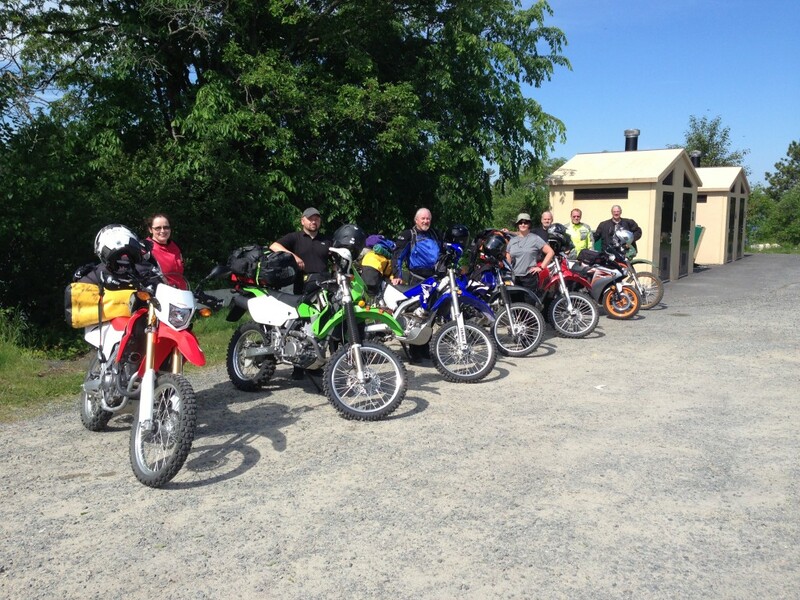 I remembered all the fun and laughs from my teens with my friends on our dirt bikes. 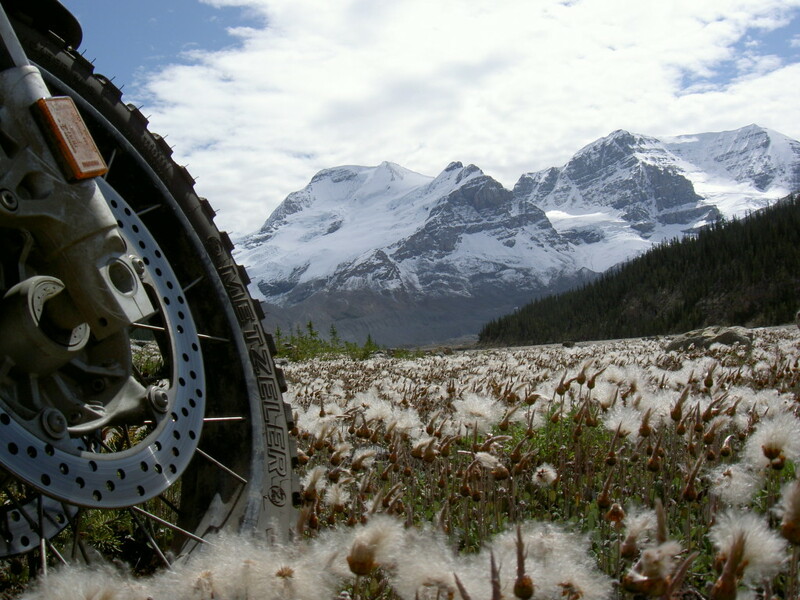 My drinking had kept me from getting another bike, but shortly after I quit I recalled my memories I knew what sport I wanted to take up with my family. I started off slow, buying a 1986 Honda XL600R. I always loved the look of this enduro bike and I knew that that was what I wanted to get. Once I knew I was enjoying riding again I took a bigger step to the BMW R1200GS. Then things really started to accelerate. 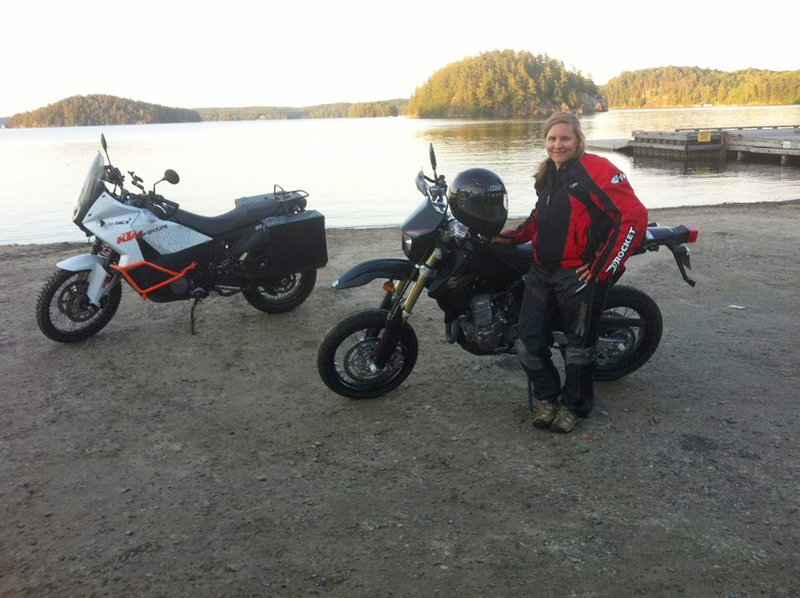 I got my licence and started thinking about getting the family out with me to travel. 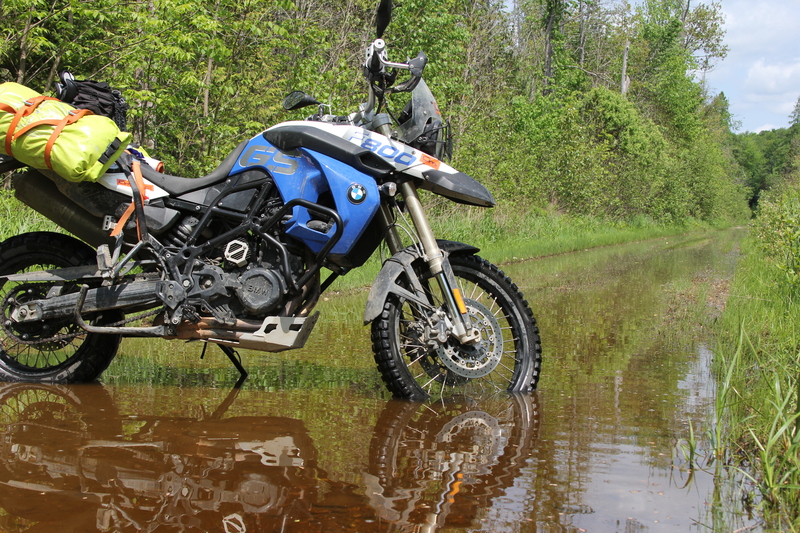 It started by faking a wrong turn and ending up at a BMW dealer. I then convinced my wife that we should go in and look around. Little did she know that her new 650 Serato was waiting for her inside. Fast forward to the next spring and 3 of the 4 of us have our licences. 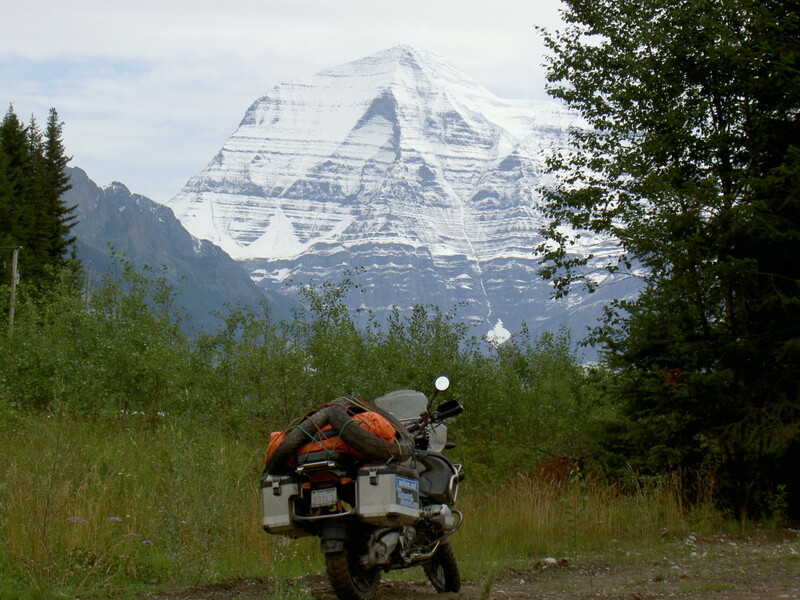 That’s when I started planning a 2 month trip from our house in Teeswater to our shack in Panama. A year of planning and we were off. Through the United States, Mexico, Guatemala, El Salvador, Honduras, Nicaragua, Costa Rica and to Panama. We had an amazing trip and look forward to doing it again. Since then we still tour as much as we can around Ontario. Using the bikes also for work, daily drivers and of course play. 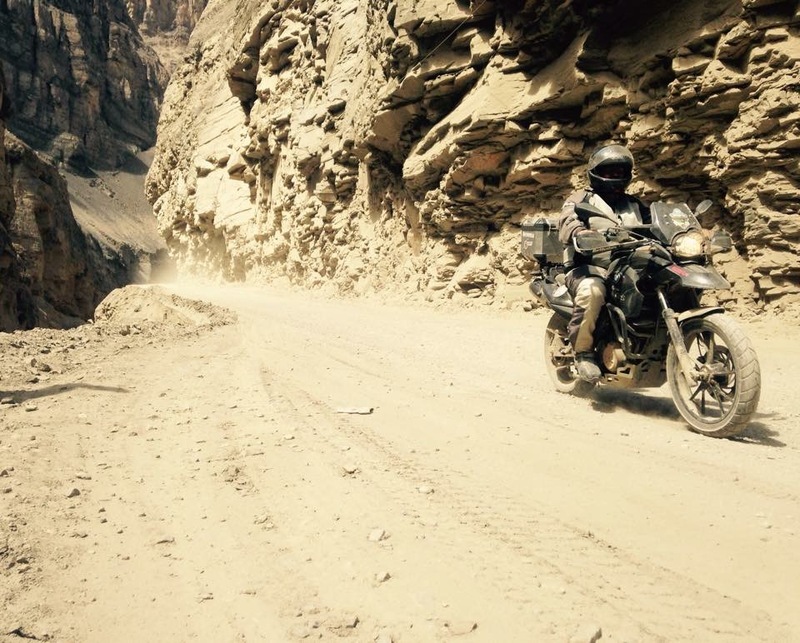 Since then I have also rode Peru, Ecuador and part of Colombia. 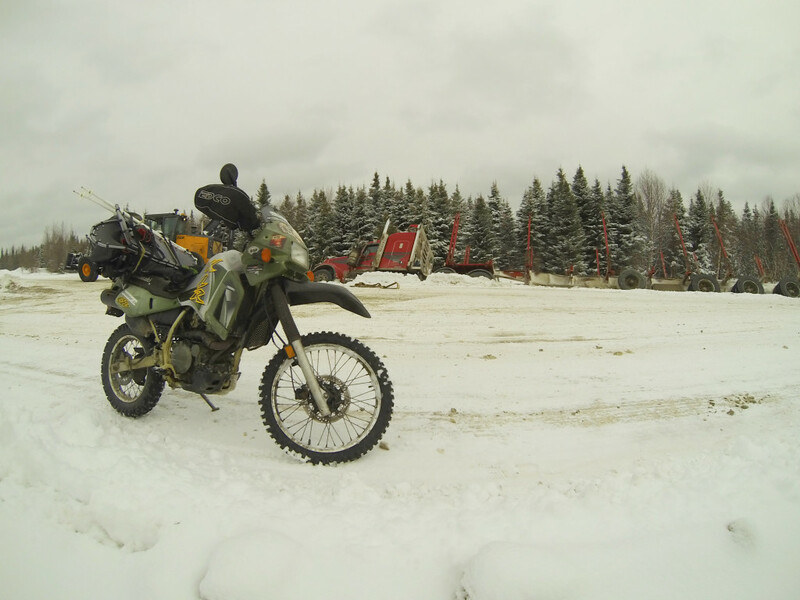 Living in the GTA doesn’t prevent Lorry from getting out and exploring Ontario’s Highlands and the Explorers’ Edge regions. 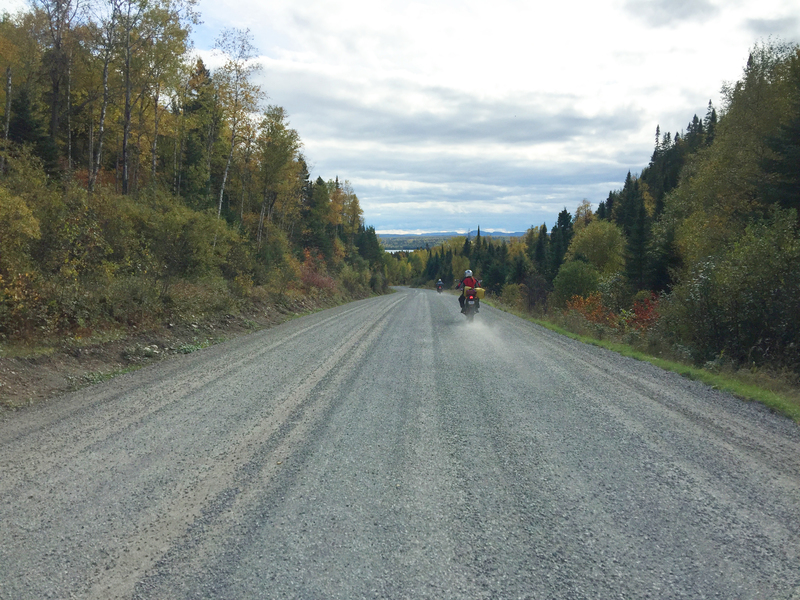 On Gunn’s Road heading into Algonquin Park.